Unless you work in the industry, the terminology used in a health insurance plan can seem like a different language. But it’s important to understand common health insurance terms. When you’re using your benefits, you want to make sure you know what you’re paying for. Consider this article your health insurance cheat sheet. But instead of simply listing terms and definitions, I will take you through a few scenarios. Find your health plan below and see how it works when you use your benefits. No matter what health plan you have, you will see the terms “providers,” “in-network,” and “out-of-network” pop up. When you need health care services, it all starts with a doctor. We have a fancy word for doctors and hospitals: We call them providers. This word represents any health care professional or facility. Every health insurance company has their own system of providers who they contract with to deliver services to their members. These contracted providers are considered in-network and members can take advantage of most services. When members use a provider not contracted by the insurance company, we call this out-of-network. Maggie is 51 years old and has a health maintenance organization plan, or an HMO, which required her to select a family doctor when she enrolled. This doctor is called a primary care physician (PCP). A PCP is an in-network provider who coordinates all your care from preventive care, like flu shots and mammograms, to sudden illnesses. Maggie saw her PCP for her annual check-up, but her doctor thought Maggie’s blood pressure was too high. He recommended that she see a cardiologist. Since Maggie has an HMO, her doctor issued her an electronic referral, which is an official recommendation that she see a specialist. When Maggie visited the cardiologist’s office, she paid a copay, which is a flat fee you pay when you see a doctor or receive other medical services. Your copay amount will depend on your plan. Maggie’s cardiologist determined she needs to go on a special blood pressure medication. However, this medication requires something called prior authorization (typically used for prescription drugs), which means she needs to get approval from her health plan before she receives the medication. Precertification (typically used for medical services) also applies to certain tests and procedures. You may also see this listed as “preapproval” or “prior authorization,” but don’t worry, they all mean the same thing. Here’s another scenario, but this time, for someone with a different health plan. David is 32 years old and has a PPO plan or preferred provider organization. He could still choose a PCP, but he can choose his doctors from in- or out-of-network without needing a referral. David’s an avid runner, but lately, he’s been experiencing pain in his instep and wants to see a podiatrist. David has the option of choosing an in-network doctor — that would mean he’d only have to pay a copay. But David chose a doctor considered out-of-network. This means his plan will only cover 60 percent of his visit according to his benefits, so he’s responsible for covering 40 percent of the total cost of seeing that specialist. That 40 percent is coinsurance, a percentage you pay for covered medical services. As it turns out, David has a stress fracture and needs crutches to help him get around. His plan covers crutches, wheelchairs, and canes under the durable medical equipment (DME) benefit. Coinsurance is typically used to cover DME, too. John just left his full-time job to start his own business. He is beginning the process to shop for health insurance, but he’s having trouble deciding which plan to choose. His PCP is in-network already, so he is considering an HMO. However, he doesn’t want to have to obtain a referral every time he may need to see a specialist, so he is also considering a PPO. He ultimately decides to get an EPO plan or exclusive provider organization plan. With an EPO, John can designate his current PCP who is already in the network, and he can also see specialists without a referral. Wherever he goes, it’s important that John stays in his EPO plan’s network. Out-of-network services are only covered in the case of an emergency. This last scenario runs through a different health plan. Sarah is 26 years old and just purchased her first health insurance plan. 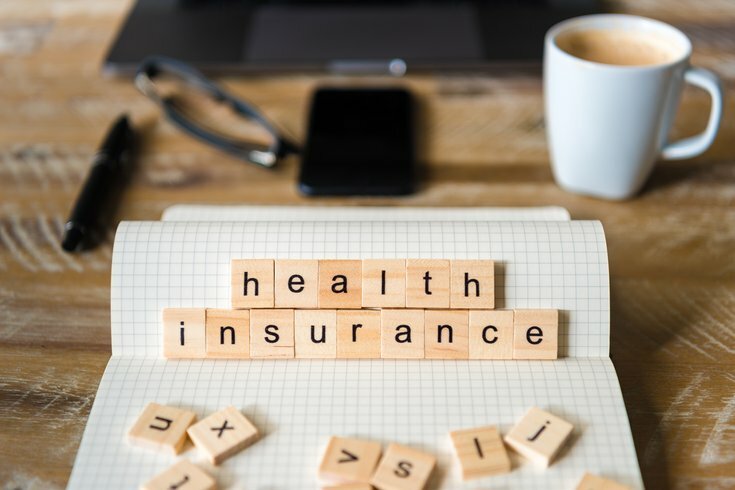 She chose a high-deductible health plan (HDHP) because she’s generally healthy and wanted to pay a lower monthly premium. If Sarah receives medical services, her insurance won’t kick in until she reaches a deductible, which is an amount you pay each year before your health plan starts paying for services. Her plan has a $2,500 deductible, and she will have to pay 20 percent of costs after she meets her deductible. Her annual spending is capped to limit what she has to pay for covered services each year, not including any monthly premium contribution/payment. This is called the out-of-pocket maximum, and with Sarah’s plan, it is $6,000. One day, Sarah started experiencing severe stomach pains. She went directly to the ER and was admitted to the hospital with appendicitis. Sarah is responsible for the cost of her emergency surgery, her two-night hospital stay, and 20 percent of any additional cost for services up to her $2,500 deductible. Sarah’s out-of-pocket costs (the amount of money she pays for care) will not exceed her out-of-pocket maximum of $6,000 in her plan year. But one of the tests they ran on Sarah while she was in the hospital isn’t covered under her plan, and she may have to pay for it. However, she has the right to appeal that decision, which means she can ask the health insurer to reconsider the decision. For more helpful health insurance terms, visit Independence Blue Cross’s Health Insurance Basics page. Note: These examples are illustrative only and not intended to represent any particular plan benefits. I'm a copywriter at IBX. I enjoy Philly sports and know everything there is to know about the Phillies, Eagles, and Flyers. I'm always looking for new ways that I can reach my goal weight. Follow my posts to find out what has worked for me and how it can work for you!